the adventures of tartanscot™: "Sunday Runway, Closeted . 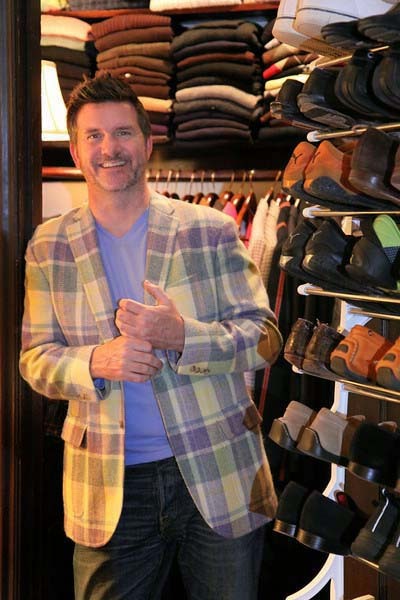 . . "
Apart from Steve Gambrel having flawless taste, this studded closet is exceptional. I'm ready to move in. 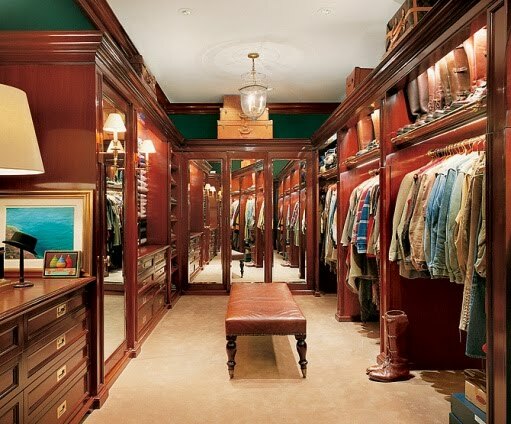 While I love a dark rich wood for a gentlemans closet, there is something really fabulous about these colorful closets, the blue is amazing, ditto the red. All of them are really great looking.......wonderful post! 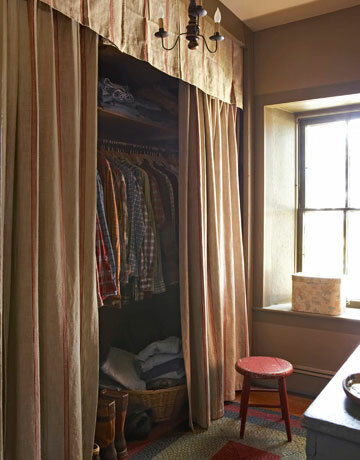 These closets are wonderful. 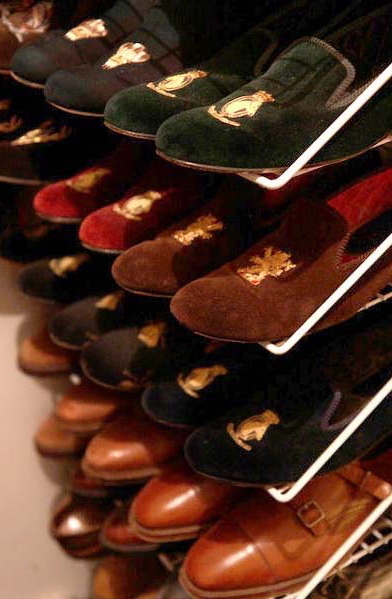 While Ralph Lauren's closet was exactly as I would have expected it to be, I was rather suprised by James Andrew's closet. He has the most stunning wardrobe, I expected something different. OK, I an GREEN with envy...my own closet is small and a mess...I am going right now to do something about it. As far as I am concerned, you and James Andrew are the top. 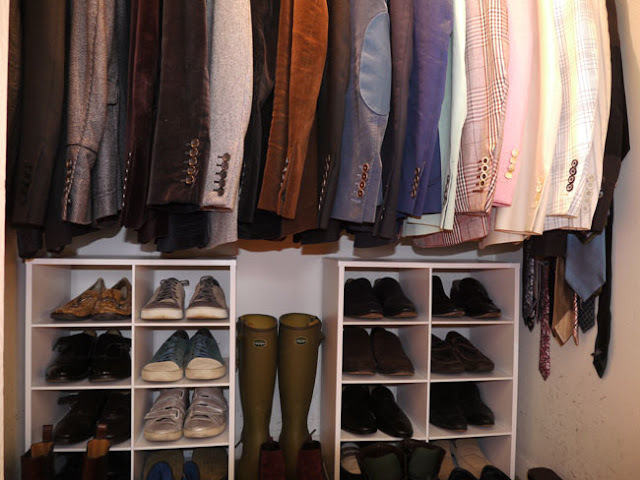 I have seen Michael Smiths closet and I could cry from jealousy. These are great closets, Michael Smith's is my favorite. 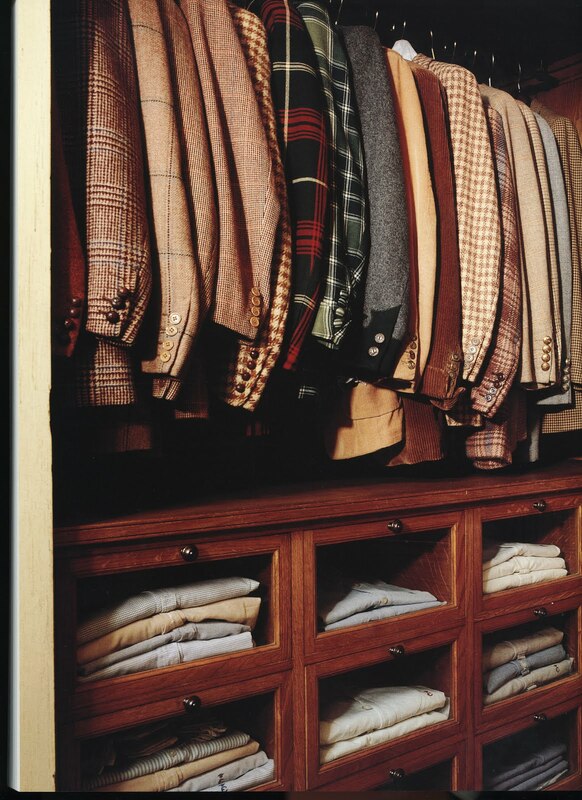 You have a very neat closet for a boy! And a lot of knitwear. Love this post. thanks for a peak into these great closets. i'm working with a bachelor who has several that desperately need to be done. great inspiration! 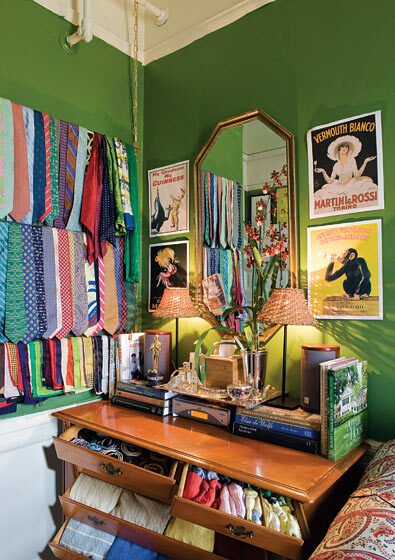 love the bright colours of the walls which makes all those shirts & jackets pop. Mr Wood when do you get to wear all those divine slipppers!! Those lovely slippers get to trot around San Francisco with a fair amount of regularity. Chic and cozy - my favourite. Love it. This makes me realize how unfairly proportioned most rental unit's closets are...sadly, I don't have one of those great Edwardian walk-ins. 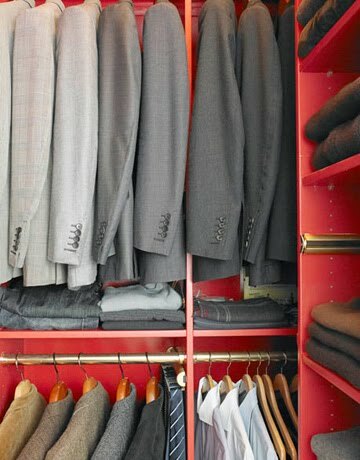 I do have 2 closets though, but neither one looks like this! My shoes are the source of my secret powers . . .
Beautiful clothing and yet filled with beautiful clothes:) is a dream. Want new wardrobe ..now! I also love your sense of fashion, Scott. One of my favorite blogs. this is a Beautiful clothing and yet filled with beautiful clothes:) is a dream.